There's more going on in your smartphone battery than you might think. Welcome to Smartphone Futurology. In this new series of science-filled articles, Mobile Nations guest contributor (and all-around good guy to know) Shen Ye walks through current technologies in use within our phones, as well as the cutting-edge stuff still being developed in the lab. There's quite a bit of science ahead, as a lot of the future discussions are based on scientific papers with a vast amount of technical jargon, but we've tried to keep things as plain and simple as possible. So if you want to dive deeper into just how the guts of your phone function, this is the series for you. With 2014 now a fading memory, and a new generation of flagship handsets on the horizon, it's time to look ahead and see what we might see in the smartphones of the future. We're kicking off the series with current and future battery technologies, along with some tips to help you improve the longevity of the batteries in your devices. Battery performance — in both longevity and charging — is one of the areas of mobile tech in which there's still plenty of room for improvement, and there's a wealth of different technologies in development aiming to do just that. Read on to find out more. Shen Ye is an Android developer and MSci graduate in Chemistry from the University of Bristol. Catch him on Twitter @shen and Google+ +ShenYe. Rechargeable battery technologies have been constantly improving to keep up with the huge advancements in performance of portable electronics, making it a heavily researched topic in the science community. The huge majority of batteries in portable electronics use lithium-based chemistry, the most common being lithium-ion (Li-ion) and lithium-polymer (Li-po). Li-ion batteries replaced the use of rechargeable nickel-cadmium batteries (Ni-Cad) in the late 20th century1 with drastically higher capacities and reductions in weight. Li-ion batteries are generally mass produced as button cells or as long metal cylinders (similar shape and size as an AA battery) which are stacked and inserted into battery packs like the one in your phone. This packing gives an inefficiently low ratio of battery to volume, however. Li-po batteries were introduced a few years later using the same chemistry, but in this instance the liquid solvent is replaced with a solid polymer composite and the battery itself is encased in a plastic lamination instead of a rigid metallic casing, giving it a bit more flex. Most of lithium-based batteries work on a chemical process where lithium ions (Li+) move from the anode (positive electrode) to the cathode (negative electrode) through an electrolyte solution, releasing electricity to the circuit. (And thus powering your phone or tablet.) During charging the process is reversed and the Li+ ions get absorbed by the anode. The capacity of a battery is essentially dictated by the number of Li+ ions the anode can absorb. Almost all modern consumer-grade lithium batteries have anodes made out of graphite, with a highly regular surface to maximize absorption. Schematic showing how a lithium-ion battery discharges, powering your phone. However lithium batteries degrade over time, and this process is sped up at higher temperatures, especially by the ambient temperature increase caused by charging. (Not to mention actually using your device, which also generates heat.) It's one of the reasons why it's beneficial to use a low amperage charger for overnight charging, as faster charging causes a greater increase in battery temperature. Lithium batteries degrade over time, and this process is sped up at higher temperatures. This aging process is down to chemical and structural changes to the electrodes, one of which is the movement of the Li+ ions can over time damage the highly ordered surface of the electrodes. Over time the lithium salts which make up the electrolyte can crystallise on the electrodes, which can clog up the pores and prevent the uptake of Li+ ions. The degradation of batteries is commonly referred to as the "coulombic efficiency", describing the ratio of number of electrons extracted from the anode to the number of electrons able to be put in during charging. Usually a battery needs to have a coulombic efficiency of over 99.9% in order for it to be commercially viable. A major concern with Li-ion and Li-po batteries is the risk of fire if they overload, overheat, short or puncture. Charging circuits in portable devices are designed to prevent the first three effects, but if they fail it can be extremely dangerous2 as it can cause heat build-up which eventually starts a thermal runaway. (Think "boom!") Punctures are rare as batteries tend to be packaged inside the devices they're powering, but they're also a potential hazard3. A factor that's sometimes overlooked is ventilation. Ventilation is required to help dissipate heat generated by the battery, and can also prevent the build-up of the flammable solvents if they were to leak, reducing the risk of an explosion. What's next for lithium batteries? Higher capacities, longer lifespans, improved safety and faster charging. The top three improvements being sought after by researchers are higher energy densities, longer lifespan, better safety, and faster charging rates. With current Li-po technology, improving the anode material expands both the capacity and longevity of the battery, higher absorption rates improve charging speeds, a greater number of lithium ion sites increase capacity, and a more resilient anode material can prolong the battery's lifespan. Other areas being researched include the electrolyte between the electrodes and the reduction in production costs of the individual components. Scientists are actively looking for ways to make lithium batteries safer. One of the most recent incidents which received a lot of publicity is a fire which grounded the Boeing 787 found to be caused by the aircraft's lithium polymer battery. Earlier this year, the University of North Carolina announced that they've discovered a replacement for the highly flammable organic solvents commonly used in lithium batteries, called perfluoropolyether (PFPE)4. PFPE oils have been a widely used industrial lubricant but the group have found that lithium salts could dissolve in it. The group thinks the PFPE may actually dissolve the lithium salts better than some presently used solvents, which would reduce the crystallisation effect on the electrodes and prolong the battery life. There still needs to be more testing and planning before getting to mass production, but expect non-flammable lithium batteries very soon. Scientists are actively looking into ways to make lithium batteries safer. Dramatically faster charging could be just a couple of years away. A research group also working on anodes in Nangyang Technological University have developed a Li-ion battery which can be charged to 70% in just two minutes, and able to endure over 10,000 cycles. This is extremely attractive to both the mobile and electronic vehicle industries. Instead of using a graphite anode it uses a gel of titanium dioxide nanotubes made from titania. Titania is a naturally occurring compound of titanium, it is a very cheap substance used as the main active component of sunscreen5 and can also be found in a variety of pigments, you may even find it in skimmed milk as it enhances the whiteness6. Titanium dioxide has been tested as an anode material in the past, but using a gel of nanotubes vastly increases the surface area so the anode can uptake Li+ ions much faster. The group also observed that the titanium dioxide was able to absorb more Li+ ions and was less prone to degradation than graphite. Titanium nanotubes are relatively simple to make; the titania is mixed with lye, heated, washed with dilute acid and heated for a further 15 hours7. The group has patented the discovery, so expect to see the first generation of their fast charging lithium batteries hit the market in the next couple of years. In the meantime, companies like Qualcomm work to increase charging speeds in existing Li-ion batteries with efforts like QuickCharge, using communication chips which let them maximize the input charge without damaging the internal circuity or overheating the battery. Qualcomm QuickCharge can be found in current Android phones like the HTC One M8, Nexus 6 and Galaxy Note 4. Recently a group at Stanford published a paper8 in which they discovered a thin layer of carbon nanospheres was able to allow the use of lithium metal as an anode. This is the "holy grail" of anodes as a lithium metal anode has roughly 10 times the specific capacity of modern graphite anodes. Previous lithium anodes have only reached 96% efficiency but dropped to 50% over 100 charge-discharge cycles, meaning they're no good for use in mobile tech. But the Stanford team were able to achieve 99% after 150 cycles. Lithium anodes have a few issues including the tendency to form branched growths after a few charge-discharge cycles; what's more they can explode when brought into contact with the electrolyte. The layer of carbon is able to overcome both of these problems. While the group haven't reached the target 99.9% coulombic efficiency, they believe a few more years of research into developing a new electrolyte and additional engineering improvements will push their battery into the mass market. The paper is an interesting read with illustrations if you're able to access it. Current lithium batteries are not flexible at all, and trying to bend them can cause unfavorable structural changes on the anode and decrease the battery capacity permanently. Flexible batteries would be ideal for wearables and other flexible devices, an example being the ability to get a longer battery life on your smartwatch because the leather strap has an embedded external battery. Recently LG showed off an OLED display which could be rolled up, where both the display and circuitry were flexible and the bendable component missing was the battery. LG has showcased a curved "bendable" battery its G Flex handset, with cells stacked in order to prevent deformation; this is the closest we've come to a "flexible" battery in a mainstream smartphone thus far. Earlier this year a company in Taiwan called ProLogium announced and began production of their flexible Lithium Ceramic Polymer battery. The battery itself is extremely thin and ideal for embedding in clothing wearables and it has an advantage over normal Li-po which is that it extremely safe. You can cut it, puncture it, short it and it won't smoke or catch on fire. The downside is that it is expensive to produce due to the processes involved in manufacture and the storage capacity is pretty terrible when it's thin. You'll probably find it inside very niche devices — and maybe a few low-profile battery accessories — in 2015. A group in China's Shenyang National Laboratory9 have been making progress in developing flexible alternatives for each component in a Li-po battery, but there is still an enormous amount of research and development to do before they're commercially available. Its advantage over the Lithium Ceramic Polymer battery would be the lower cost of production, but the technology should be transferable to other lithium battery technologies, such as Lithium-sulfur. Moving away from Li-ion and Li-po there are two promising lithium based cells, lithium-sulfur (Li-S) and lithium-air (Li-air). Li-S uses similar chemistry to Li-ion except the chemical process involves a two-electron reaction between the Li+ ions and sulphur. Li-S is an extremely attractive replacement for current technologies as it's just as easy to produce, has a higher charging capacity. Better still, it doesn't require highly volatile solvents which drastically reduce the risk of fire from shorting and punctures. Li-S cells are actually near production and are being tested; its non-linear discharge and charging response requires a completely new charging circuit to prevent rapid discharge. Powerful lithium-air batteries could drive electric cars, but the technology is still in its infancy. In Li-air batteries the cathode of the cell is air, or more specifically the oxygen in the air. Similar to Li-S batteries the chemistry of Li-air also involves a two electron reaction, but between lithium and oxygen. During the charging process, the Li+ ions move to the anode and the battery releases oxygen from the porous cathode. It was first proposed in the 1970s for use in electric vehicles. Li-air batteries can theoretically have a higher energy density than gasoline10; as a comparison the HTC One M8's 2600 mAh battery can store the same amount of energy that is released when burning a single gram of gasoline. Despite extensive funding into Li-air batteries, there are severe challenges which have yet to be solved, especially the need for new electrodes and electrolytes, as the current coulombic efficiency is abysmal after just a handful of cycles. It may never be feasible in smartphones due to the need for constant ventilation, but it is seen by many as the "holy grail of the electric vehicle market" even though it'll be over a decade before you find it in your electric car. Moving away from lithium completely, magnesium-ion batteries (Mg-ion) are also heavily researched. Magnesium ions are able to carry double the charge compared to lithium ions. A Taiwanese team researching Mg-ion batteries recently told EnergyTrend that Mg-ion has 8 to 12 times higher capacity compared to Li-ion with 5 times more efficient charge-discharge cycles. They stated an example where a typical electric bicycle with a Li-po would take 3 hours to charge, while a magnesium battery of the same capacity would only take 36 minutes. It was also mentioned they were able to improve the stability of the battery by making the electrodes out of magnesium membranes and magnesium powder. It'll be a few years before magnesium batteries are used commercially but it's definitely closer than the some other candidates. Halide-ion batteries (mainly focussing on chloride and fluoride) also involve the shuttling of ions, except these ions are negatively charged as opposed to the positive metal ions mentioned above. That means the shuttling direction of charge and discharge is reversed. In 201111, the proposal of fluoride-ion batteries ignited research across the world. Fluorine is one of the smallest elements at the atomic level, so theoretically you can store a lot more of it in a cathode compared to larger elements and achieve an extraordinarily high capacity. There are multiple challenges which researchers have to solve before these become viable, due to fluorine being highly reactive and its ability to pull an electron from almost anything. The suitable chemical systems needed will take time to develop. A collaboration between the Karlsruhe Institute of Technology in Germany and the Nanjing University of Technology in China came up with a proof of concept of a new type of rechargeable battery based on chloride ions12. Instead of the shuttling of positive metal ions, this battery uses negatively charged non-metallic ions. Chlorine is less reactive compared to fluorine but it has similar issues where a chemical system needs to be found and refined before they become viable, so don't expect to find these batteries in your smartphone for at least a decade. A capacitor is similar to a battery, in that it's a two-terminal component which stores energy, but the difference is that a capacitor can charge and discharge extremely quickly. Capacitors are generally used for quick discharges of electricity, like the xenon flash on a camera. The relatively slow chemical processes in a general Li-po battery cannot discharge at anywhere near the same speeds. They also work on completely different principles, batteries charge by raising the energy of a chemical system and capacitors build separate charges on two metal plates with an insulating substance inbetween. You can even build a capacitor with a piece of paper between two sheets of foil, though don't expect to charge anything with it! When charging up a capacitor the current causes electrons to build up on the negative plate, repelling electrons away from the positive plate until the potential difference is the same as voltage as the input. (The capacity of a capacitor is known as capacitance.) The discharging of a capacitor can be unimaginably quick. Nature's analogy for a capacitor is lightning, where you have a build-up of charge between the bottom of a cloud and the Earth (like the two metal plates) and in between lies a bad conductor, air. Clouds have a considerable capacitance and the potential energy will build up to millions of volts until it reaches the point where the air is no longer a suitable insulator and conducts the energy from the cloud to the ground. Looking even further ahead, supercapacitors could one day allow your phone to charge in seconds. The problem with capacitors is they generally cannot store as much energy in the same space as a lithium battery can, but the thought of being able to charge your phone in seconds rather than hours is an idea which has been driving the research into supercapacitors. Supercapacitors (also called ultracapacitors) are different from normal capacitors as they have a far greater capacitance by avoiding the conventional solid insulator and relying on chemical systems. A vast amount of research is going into integrating graphene and carbon nanotubes (graphene rolled into a tube) into the components. Tsinghua University have been experimenting with carbon nanotubes to improve the conductivity of nanofluids for use as electrolytes in supercapacitors13. The University of Texas have been looking into mass production processes for making graphene suitable for supercapacitors14. The National University of Singapore are researching the use of graphene composites as supercapacitor electrodes15. Carbon nanotubes have an unusual property where the orientation of the atomic structure can dictate whether or not a nanotube is a conductor, semiconductor or insulator. For lab use, both graphene and carbon nanotubes are still tremendously expensive, £140 ($218) for a 1cm2 sheet of graphene and over £600 ($934) per gram of carbon nanotubes due the difficulty in manufacturing them. Supercapacitors remain far from being used commercially. There have been demonstrations of them being used in smartphones but these devices have been bulky. The technology needs to both shrink in size and become cheaper to produce before they are ready to be introduced into the market. Aside from that, the high energy density of a charged supercapacitor brings the potentiality of rapid discharge which poses a serious fire risk when used in devices. Lithium batteries do not require conditioning, where you have to charge the battery for 24 hours on first charge. Leaving your phone on the charger after it's charged won't cause overcharging, except in very rare cases where the charging circuit malfunctions. Leaving a battery at 100% for long periods is not advised. Use fast charging sparingly where possible, higher temperatures quickens deterioration. Avoid charging at temperatures below freezing as subfreezing charging can cause irreversible electroplating of metallic lithium on the anode16. 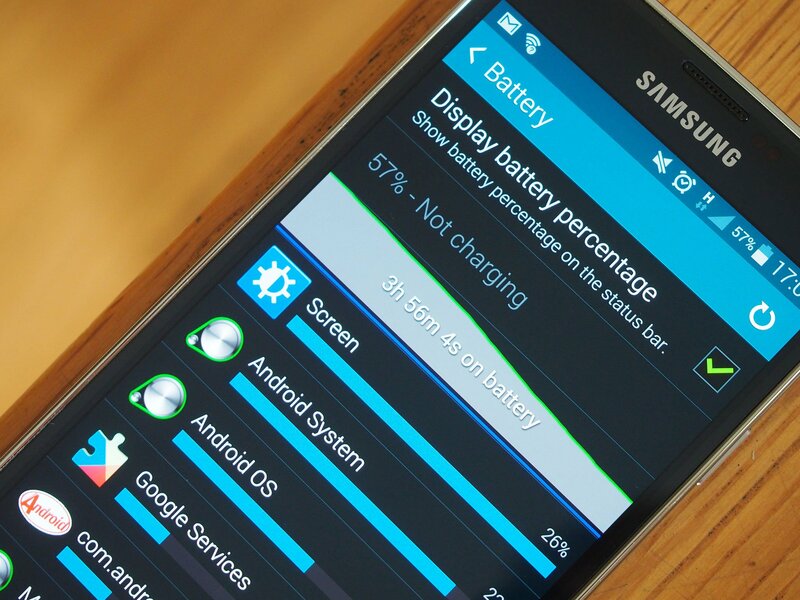 Avoid discharging to 0%, it's bad for the battery's lifespan. Store lithium batteries at ~40-50% to reduce deterioration, also disconnect them from the device if possible. The most likely candidate for the next-generation in smartphone battery life is lithium-sulfur. It's almost ready for mass production, and has shown promising results in both its capacity and safety improvements whilst being relatively cheap to manufacture. Once lithium anodes are ready for mass production for a low enough cost, it will bring the jump in battery life which current wearables need without being unpleasantly large. It'll be more than a decade before you see supercapacitors in your phones and tablets — but don't worry, the titanium dioxide nanotubes will soon help your charging times (if the device manufacturer can afford the extra cost over ordinary graphite variants). However these technologies progress, one thing's for sure — given time, current bugbears surrounding smartphone battery life, capacity and charging speeds should become a thing of the past.